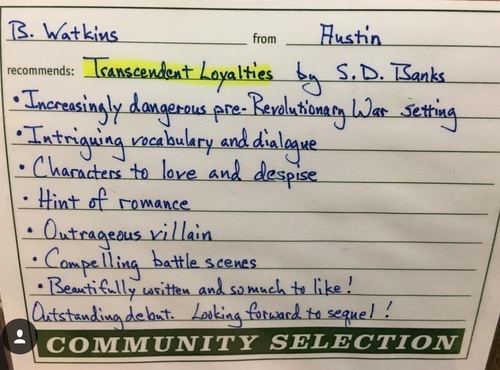 S. D. Banks is a native Texan, and a long-time resident of Austin – the Live Music Capital of the World, and home to a vibrant writing community as well! She has been writing for as long as she can remember, joking that she started her "writing career" while still in grade school. "I would carefully write out stories, draw "book covers" for them, and then staple or lace the pages together to form books," she laughs. "I had a secret drawer full of them. What a strange child I was!" Reading Little Women cemented her ambition to be a writer, with Jo March becoming an early role model. She admits that Jo March would have been disappointed in her determination, however. Given that it is not something one can count on to pay the bills, writing isn’t a career path that folks tend to encourage in children. For much of Banks’ adult life, her focus was on her husband, son and working at paying jobs. It was when she went back to college later in life to complete a degree that had been put on hold that encouragement from history and English professors convinced her that she should rekindle her writing dream, and pointed her toward a melding of her passion for history and love of writing. ​Almost anyone who might have seen thirteen-year-old Anna Somerset slip out of her uncle’s house that fateful, chilly March evening in 1770 would have said she was far too respectable to be out alone and at such a dangerously late hour. But the handful of people who knew her well would have said that they expected just such a thing to happen at some point because, though she schooled herself toward outwardly sensible behavior, she too easily succumbed to curiosity, and her nature ran to a fondness for risk and adventure. Certainly her childhood friend, Daniel Garrett, would have agreed. Only four years older than Anna, Daniel saw the gap between them as far wider – and not merely because of the age difference. Unlike Anna, Daniel has pointedly misspent his youth, living in disreputable shadows and on the edge of violence. Nevertheless (and, inexplicably, in his view) Daniel has formed a protective – if grudging – friendship with her. That protectiveness would rear its head when the tension-filled streets of Boston erupted into violence and, despite their marked political differences, it would continue through the ensuing years. The five years between the Boston Massacre and the Battle of Bunker Hill transformed Boston and its citizens. And, much as colonial America was coming-of-age during those years, so were Anna and Daniel. The times would demand that they make difficult choices between their loyalties to home and family, king and country, and to friendships. For Colonial American as a whole, it is a time for making hard choices: A time for deciding who they are. A time for deciding what they want to be. A time for deciding which of their loyalties transcends all others. S.D. 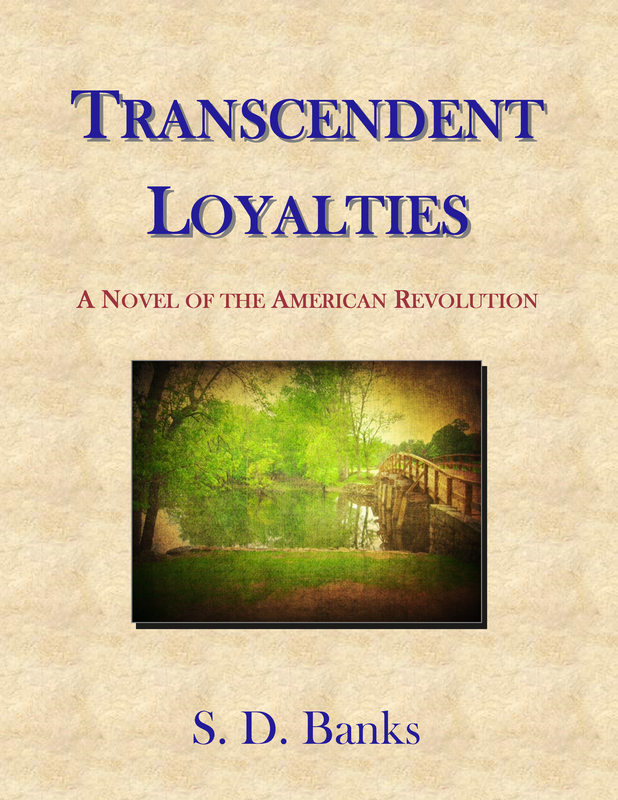 Banks writes an eloquent piece of historical literature in Transcendent Loyalties: A Novel of the American Revolution. With brilliant word usage, the narrative is exceptionally written. Metaphors float across the pages, painting vivid scenes and portraying the thoughts and intentions of the characters. Battle scenes surge with adrenaline, placing the reader in the thick of the fight. History comes alive! The characterization is refined and balanced, creating a fluid plot progression. The main characters are bold and intelligent. Yet, equally compassionate and caring, they buffer each other’s strengths and flaws, making them a dynamic heroic duo. The villainess is a master of deception, growing in her narcissism, unleashing sociopathic tendencies. The obvious conflict is between the Loyalists and the Patriots; however, the real conflict emerges from this primary divergence. The conflict of loyalty to preferential political causes and devotion to friendship between the narrative’s characters is the driving force of the story. Banks exposes the nature of fear as an underlying theme. Fear is dangerous; it causes the worst to surface from deep within a soul, resulting in unspeakable acts of violence, especially on the battlefield. But more importantly, fear is also a powerful mechanism for survival. Fear causes men and women to rise up to face insurmountable challenges. One of my favorite concepts in the book is: “America is not to be a nation of nobility, but a nation of ordinary folks. To be a great nation ... ordinary folks will have to be willing to step up and do the extraordinary from time to time ... to put down their plows and pick up a sword or musket.” I love this statement. I pray that it remains as true and meaningful today as it was then. 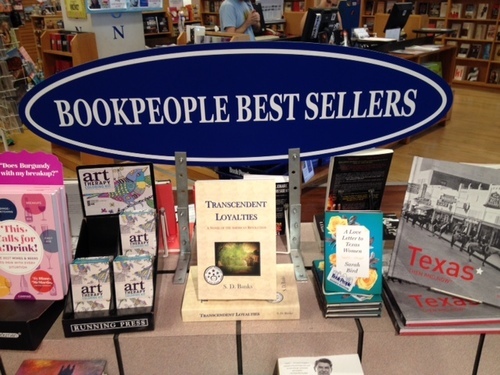 Available on Amazon.com, Barnesandnoble.com, and on the shelves at BookPeople in Austin!